SHEP O’NEAL: People in America -- a program in Special English by the Voice of America. Every week at this time, we tell the story of a man or a woman who played an important part in the history of the United States. Today, Larry West and Warren Scheer begin the story of Chief Joseph of the Nez Perce Indians. He is remembered as a hero of all American Indian people. LARRY WEST: Chief Joseph loved peace. But he was forced to lead his people in war. He loved freedom and his land. But he lost both. Chief Joseph’s story begins with his people and his land. WARREN SCHEER: An old man looks out at a green valley. Tall dark mountains stand above it. Snow covers the mountain tops. In the clear water of a lake dance the dark shapes of the mountains. The old man's name is Tuekakas. White men call him old Joseph. The Wallowa Valley is the old man's home -- and the home of the Nez Perce people -- for as long as anyone can remember. It lies in the northwestern part of the United States. Today, the land is part of the states of Idaho, Oregon and Washington. No one knows exactly when the Nez Perce first came to the valley. From earliest times, the people hunted and raised cattle there. They kept horses, the kind called Appaloosas. LARRY WEST: The Nez Perce did not own the land. They had not bought it from anyone else. They possessed no documents of ownership. But they believed the land was theirs, simply because that was where they lived. For almost seventy years, the Nez Perce showed friendship to the white farmers, churchmen and explorers who came to their land. Old Joseph, the chief, had been a friend to the white men. But in eighteen seventy-one, as he looked out across the valley, he could see a time of trouble coming. 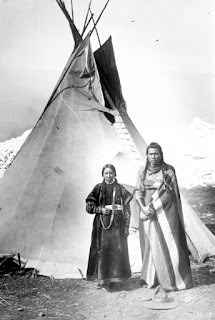 White people had discovered gold in mountains on Nez Perce land. More and more white farmers were asking the United States government to open the land for development. To do that, the Indians had to be moved. 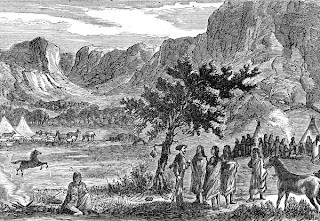 The government usually offered the Indians money or gifts to leave the area. Different deals were made with different Indian groups. WARREN SCHEER: Several years before, the white governor of the territory met with old Joseph. He asked the chief to sign a treaty. The governor said he wanted the land divided so the Indians and white men could live separately. "If the two groups are to live in peace," the governor said, "it is necessary for the Indians to have a country set apart for them. And in that country they must stay." Old Joseph was furious. "Take away your paper," he said. "I will not touch it with my hand." 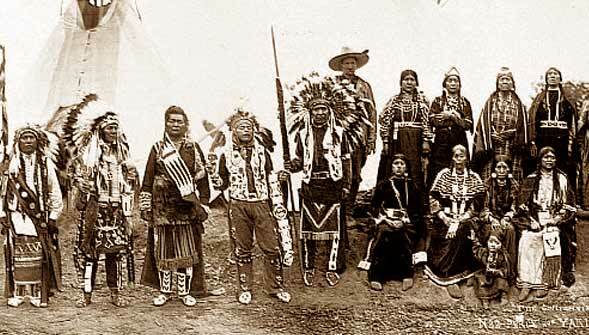 Other Nez Perce chiefs, however -- beyond the valley -- signed treaties to give up their lands. Those chiefs and their people became Christians. They cut their hair short. They forgot the ways of their tribe. Old Joseph's people did not forget. They wore their hair long. And they loved the land. LARRY WEST: Old Joseph had been chief for many years. Now he was dying. He called for his first son. The son, like the father, was named Joseph. Old Joseph spoke. His voice was the voice of a dying man. But his words were the words of a strong, proud spirit: "My son," the old man said, "when I am gone you will be chief of these people. They look to you to guide them. Always remember that your father never gave up his land." WARREN SCHEER: Young Joseph was thirty-one years old when his father died. His people called him Heinmot Tooyalaket. Those were the words the Nez Perce used to describe the noise that lightning makes in the mountains. The young man had a wide face. His hair was tied on both sides of his head and hung down on his chest like long, heavy ropes. He wore chains of seashells around his neck. Small pieces of colored glass shone brightly on his clothing. Already, the Nez Perce knew him for his good judgment, his kindness, and his ability with words. And now they would know him as their leader -- Chief Joseph. Chief Joseph remembered his dying father's words. He said: "This land has always belonged to my people. We will defend this land as long as Indian blood warms the hearts of our men." LARRY WEST: In eighteen seventy-three, Chief Joseph sent a message to the President of the United States, Ulysses Grant. He asked that no more white persons be permitted to live in the Wallowa Valley. President Grant agreed. But two years later, under pressure from farmers and gold-hunters, the president broke his promise. More white people came. Some stole cattle and horses. Some insulted the Indians. Always, Chief Joseph kept the peace. 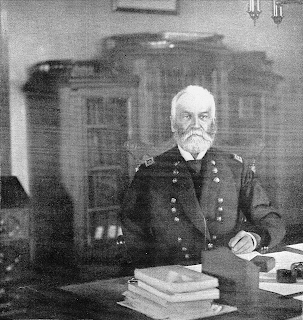 In May, eighteen seventy-seven, the government told General Oliver Howard to meet with the Nez Perce chiefs. He was ordered to tell the Indians that they must leave their land. 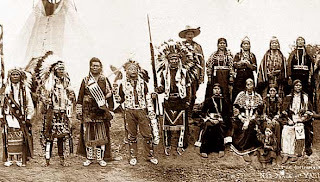 The government had a place in Idaho for all Nez Perce people. It was called the Lapwai Reservation. 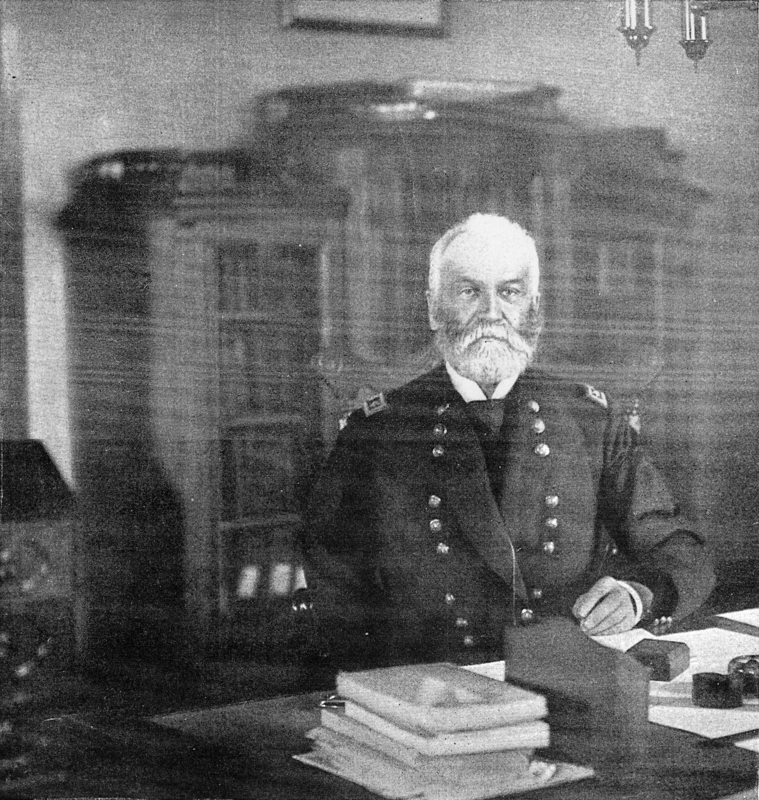 General Howard did not like his orders. To his friends he said it was a great mistake to take the valley from Joseph. But the general had spent many years in the army. He obeyed his orders. To the Nez Perce chiefs he said: "I stand here for the president. My orders are clear and must be obeyed. You have thirty days to leave the valley. If you delay even one day," General Howard said, "the soldiers will force you to the reservation. And all your cattle and horses will fall into the hands of the white men." WARREN SCHEER: The chiefs had a difficult choice. They could leave. Or they could fight. Joseph and the other chiefs had only ninety warriors. They knew they could not defend the valley with such a small fighting force. Chief Joseph said: "I have carried a heavy load on my back ever since I was a boy. I learned then that we were but few, while the white men were many, and that we could not defeat them." LARRY WEST: Some of the Nez Perce chiefs wanted to stay and fight. They were willing to try, even if there was little chance of winning. But Joseph said, "To protect my people from war, I will give up my country. I will give up everything." So the Nez Perce prepared to leave the Wallowa Valley. To get to the reservation in time, they had to leave behind many of the things they owned. They took some cattle and horses, and what food and possessions they could carry. Chief Joseph had promised them peace. But peace would not follow them. SHEP O’NEAL: You have been listening to the Special English program, People in America. Your narrators were Larry West and Warren Scheer. Our program was written by Barbara Dash. 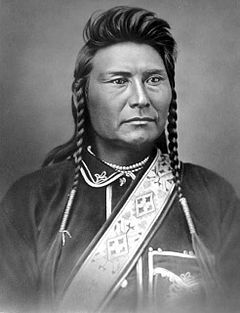 The Voice of America invites you to listen again next week at this time, when we will complete the story of Chief Joseph of the Nez Perce Indians. 1. Heinmot Tooyalaket was the tribe's name for ________________________ . 2. In Old Joseph's last words to his son, he told the young man "____________." 3. The Wallowa Valley is located in the present states of _________________ . 4. Appaloosas are _______________________ . 5. In 1871, Old Joseph saw that troubles were ahead because __________________ . 6. The Nez Perce respected Chief Joseph because he _________________ . 7. Chief Joseph probably would have fought the whites if ______________________ . 8. Before gold was discovered, the white governor wanted Old Joseph to sign a treaty that would divide his land with the whites. Old Joseph ____________________ . 9. In May of 1877, General Oliver Howard told the Nez Perce that they to leave their land ________________________ . 10. The President of the United States, Ulysses Grant ________________ .